Mounted on a light coloured wooden board 17cm by 33 cm. The Channel Range of instruments is made of solid unlacquered brass with an opening latch and bevelled glass. 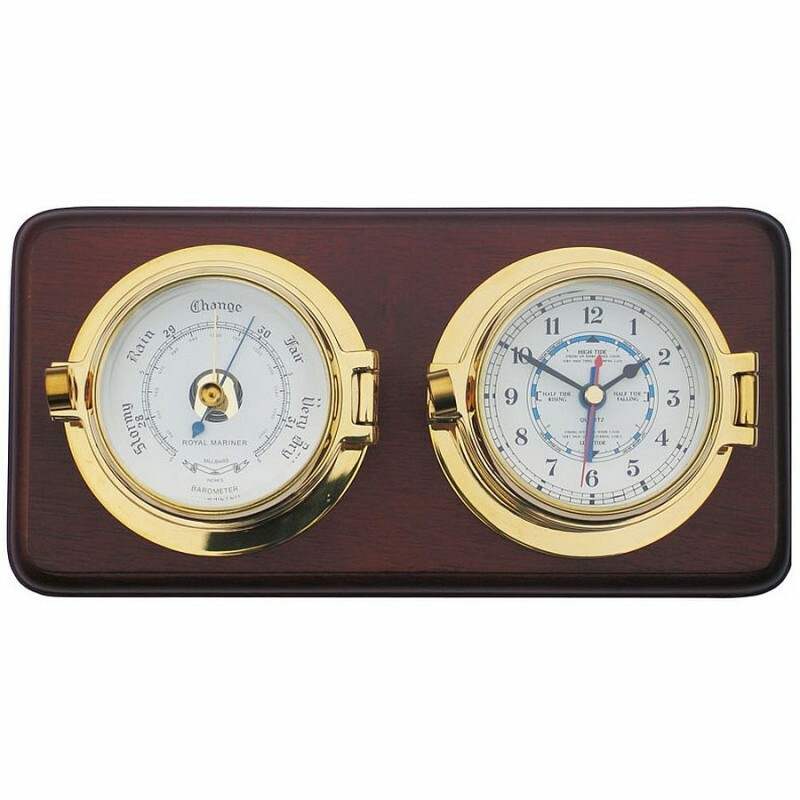 The clock has a quartz movement and the barometer is a sealed unit with an adjustment mechanism. Tide Clocks feature an additional hand which records lunar time over a 24 hour 50 minute period and so indicates successive high and low tides.